1. 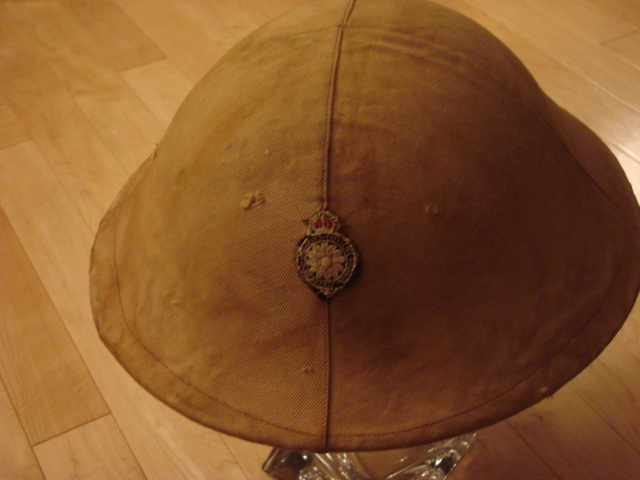 Officers canvas helmet cover with embroidered PPCLI Margeurite cap badge sewn on the front (those who recognize it from the Wehrmacht Awards forum....I am the new owner). 2. 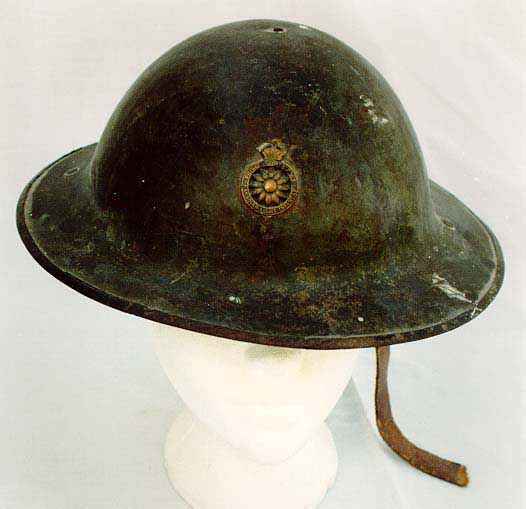 A smooth grey painted Brodier with stencilled PPCLI Margeurite cap badge to the front. 3. 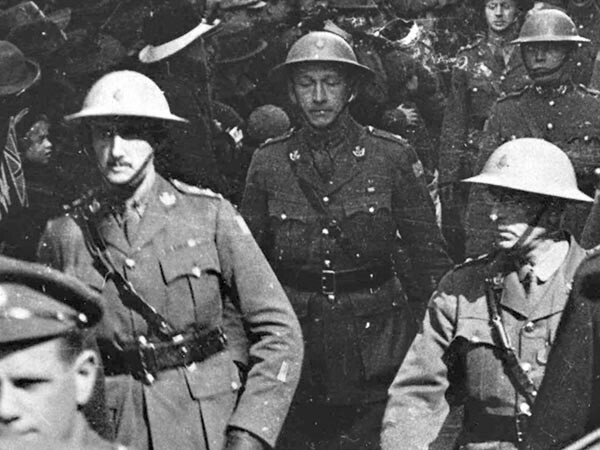 A brodie with the 3rd Div, PPCLI patch painted on the left side. Anyone have other Patricia helmets? Please let me know. I am eager to buy and trade! Great helmets Geoff! You have some really rare lids in your collection! 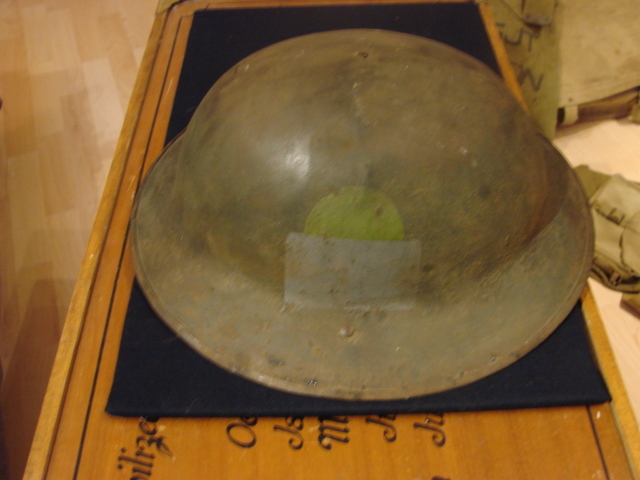 I have been collecting " all thing " PPCLI for the past 9 years and I have never seen or heard of a helmet like this..can you provide any other information about it ?? You are more than welcome to see my PPCLI stuff. Yes, the helmet cover is certainly a anomoly but I do not think it is (well, was) a one off. I have seen one other embroidered cap badge that matched the one on my cover but I did not fathom what it was for. I think this cover was styled after the badged officer helmets (as per your photo and God, I am still searching for that helmet) and was likely only custom ordered in a very small quantity. 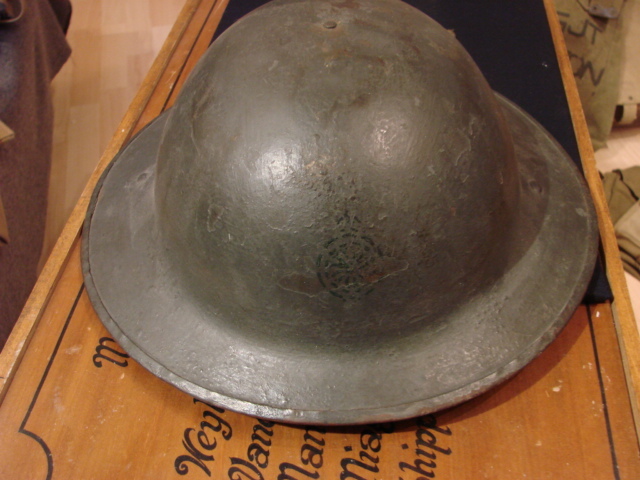 A fellow in the States found it recently along with a collection of WW1 US helmets, kit etc. Unfortunately that is all I know about it. There is no name or maker inside the cover and for the record, the helmet is only a WW2 MKII shell which I use to display the cover. No hidden treasures. Thats a very nice badge and I have not seen one like it before. As for the helmet, maybe it was Paul Ayerst? If so, he no longer has the helmet (I have visited him). Marway Militaria had one like it a couple years ago, which I missed out on. It went to a Calgary collector (I suspect it was Victor Taboika as he shows on in his book that he recently published). In anycase, I trust one will come my way eventually. Probably when I am short of cash! Geoff Yes.. I believe it was Paul... 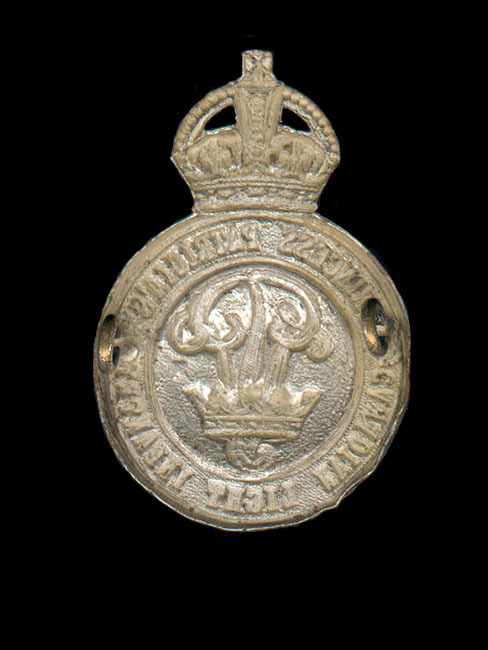 Here is aphoto of the back side of the RSM cap Badge..
Hill677 wrote: Geoff Yes.. I believe it was Paul... 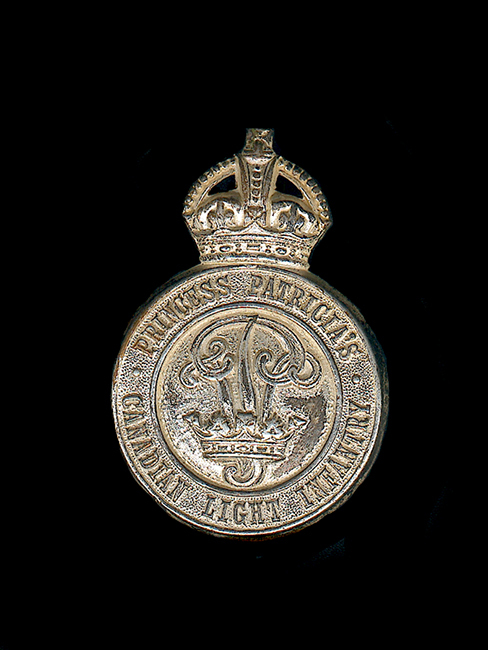 Here is aphoto of the back side of the RSM cap Badge.. Thanks for the additional photo. That is a really great badge and now, something new to search for!